Zinfandel is a broadly appealing wine best known—and perhaps best loved—for its unpretentious origins and juicy drinkability. That was certainly evident when, in past years, the annual Zinfandel Advocates and Producers festival filled two piers at Fort Mason Center with a raucous crowd, the crash of wine glasses on the floor barely piercing the massive hum of the Zin-fueled swarm. Yet there are some Zins too rare to pour out for the unslakable thirst of a mob, Zins with almost mythical reputations. What makes them stand out? "It's old vines," says Ulises Valdez, who's farmed a vineyard at Cloverdale's St. Peter's Catholic Church for over 20 years. If Zinfandel wine doesn't necessarily age as well as the best Cabernet Sauvignon, the vine itself is a much more tenacious survivor: St. Peter's is over 120 years old, preceding the church by decades. At first, Valdez helped winemaker Kent Rosenblum to put St. Peter's on the A-list of California Zin. Now the one-time vineyard laborer makes his own wine from the little vineyard, as well as from some of the other 900-plus acres that he leases or owns. Reflecting on his first answer, Valdez allows that his careful cultivation is an important part of the story of St. Peter's Zin: "I mean, it's my baby!" In 2013, the Valdez tasting room moved from Cloverdale to take advantage of better foot traffic in Healdsburg. 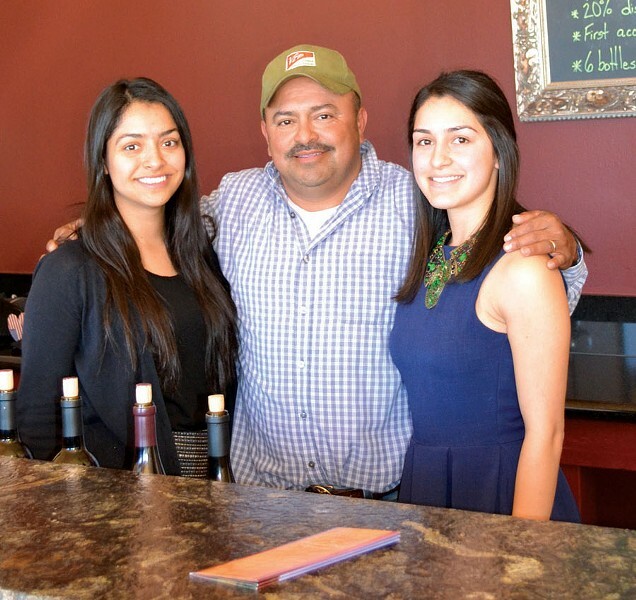 Behind the bar, Angelica and Elizabeth Valdez say that their father always encouraged them to follow their own passions, but that their hearts soon led them back to the family business. Meanwhile, their mother works in the adjacent office, and Ulises drops in to deliver lunch. Minutes after he departs, a man walks up to the bar and asks if Valdez is around. "Which one?" Elizabeth replies. "We're all Valdez!" If the 2010 El Diablo Vineyard, Russian River Valley Chardonnay ($50) seems steep, consider that it's brought to you by the same team that farms Chardonnay that's available "by invitation only" for a much higher tariff to drooling wine collectors. Longtime client and collaborator Mark Aubert, in fact, was also consulting winemaker for a time. This is a big Chardonnay without a lot of oaky showboating, just gobs of flavorful extract: pineapple, mango and white apricot. Perfumed with vanilla and blueberry, the 2009 Quinn Vineyard Dry Creek Valley Zinfandel ($38) is dry and plush, a solid Zin. But the 2009 Botticelli Vineyard Rockpile Zinfandel ($41) hints at the exotic, with its sweet, sticky floral overtones, raspberry and boysenberry fruit. Plush, sweetly lingering without being cloying, it only hits a "sweet spot." Indeed, this vineyard was established using cuttings from the old St. Peter's vines. Alas, the St. Peter's Zin is not open for tasting today—it's just that precious. Valdez Family Winery, 113 Mill St., Healdsburg. Thursday–Sunday, 11am–5pm. Tasting fee, $10. 707.433.3710. ZAP Zinfandel Festival, Jan. 22–25, San Francisco. Instead of a single grand tasting, this year themed events will be held at various locations in the Presidio. 530.274.4900. www.zinfandel.org.